Hi everyone! I know I always seem to go for pale shades when my nails are shorter, so I felt like going for the opposite of my norm today! I started off with two coats of Sinful Colors Black on Black. Say it with me now .... Oooooh, Aaaaah. I followed with one coat of SV. On my index fingers, I applied two coats of Sonnetarium Weapons of Massive Consumption, a clear coat with multi-sized silver and gold holographic hexes. 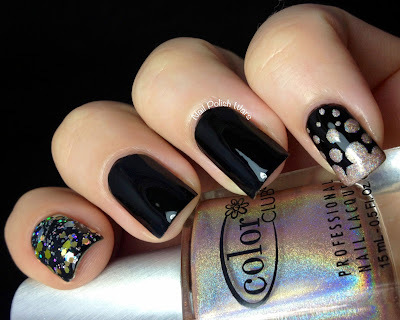 For my pinky fingers, I used my dotting tools with Color Club Cherubic for a lava lamp dot pattern. 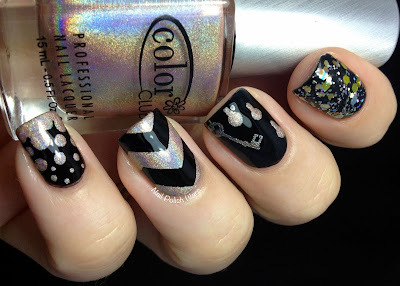 For my ring fingers, I used my Suds n' Stickers chevron decals as guides, and applied one coat of Cherubic. For my middle fingers, I paired Cherubic with my Mash-32 plate for the key design, and then used it with my dotting tools to add some small key holes. I finished with one coat of SV. I really love this mish mash of designs! It has such a great holographic shine to it! I hope you enjoyed!! Happy Painting! looks so great! index and middle finger are my favorites. Wow, that holo really stamps well. 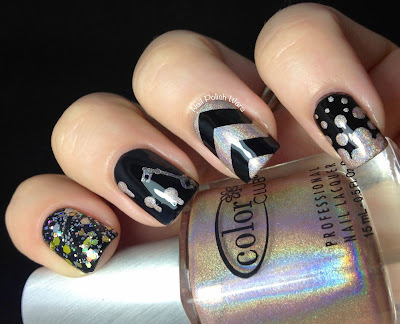 Do you know if the other colors from that collection are good for stamping as well? I adore this mani! 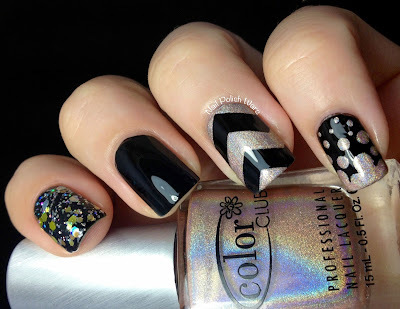 I love how opaque these holos are. Really cool combo of stuff! 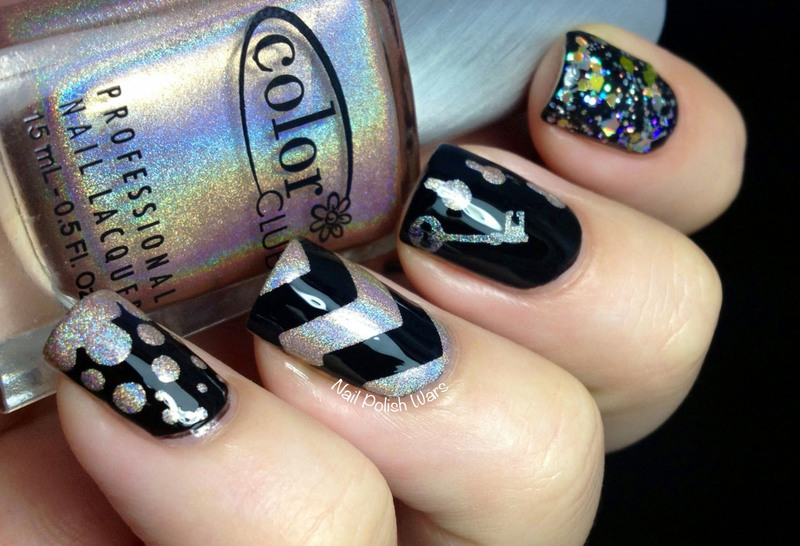 Love that glitter too :). I like the idea of starting off with a plain, sophisticated black mani at the start of the week and gradually adding another piece of nail art each day to get to a little gallery like this! i love it! 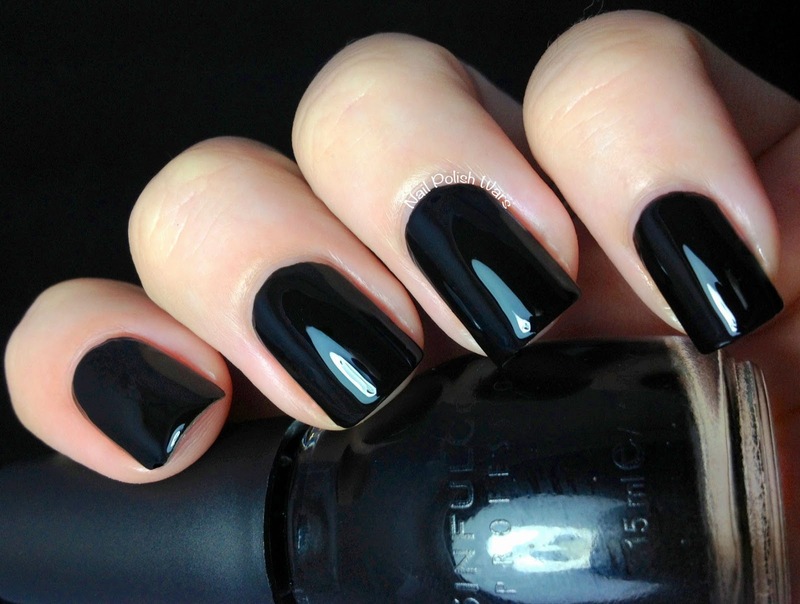 i actually usually like dark colors on short nails.